Easy to maintain and get parts for. 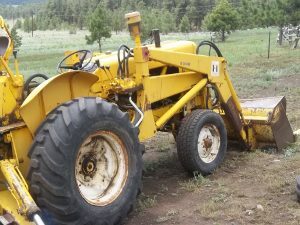 It took us 3 1/2 hours to drive the tractor from where we purchased it to the farm. But we have already used the backhoe to prepare our well head for protection from the cold weather. We need to keep our water lines 8 feet below the surface to keep them from freezing on our new farm! What a great Journey! One of the best tools that we have is our mindset. There are many times we could choose to worry or second guess our decisions. However, we chose and continue to choose a positive mindset. One where we have the time to make a good decision, but not get stuck in “Analysis Paralysis”. One of the best tools that I use that has helped me to enjoy each day and move forward is “The Miracle Mindshift” course. I invite you to try it for yourself!